I love how 2D games of yore get these remakes that not only bring to life these older experiences but also add a spin on them, of some sort that just make them ever so more interesting. 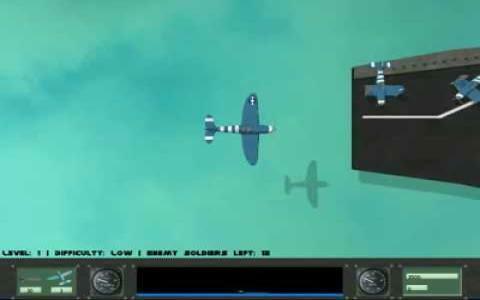 In the case of Wings of Fury, the addition consists of a dynamic camera which shifts your perspective from a sort of 2D left to right sidescrolling one, to above the plane to some other angles. But, the good thing is that these shifts never get disorienting, as they're bound to certain portions of the game and make sense. Thus, if you need to drop some bombs or land on an airplane carrier, you'll get the view from above, if you're just flying from point A to point B and need to shoot enemy planes or dodge fire, the sidescroller perspective works just like a charm. Gameplay wise, this is what the game covers, shooting left to right and dodging, planting bombs, and some other missions in the same vein. The graphics are stunningly beautiful in a very realistic but cartoonish way, sleek and very accurate. Couple that with simple controls and you get a great flight and fight type game, arcade style but never boring. 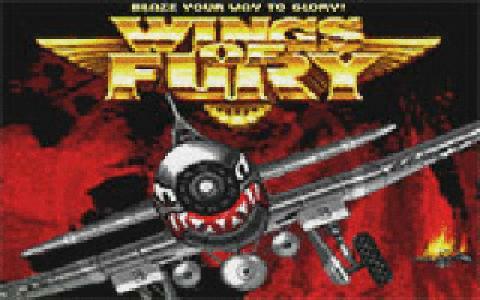 Do see the original Wings of Fury just to see how much a difference a HD total remake can bestow upon a game!